As I sit here dictating this memo to you and watching Connie dancing with herself hugging the letter in her arms, you might hear the tears running down my face (that's You're Still the One in the background). Pardon me, but I can't believe how we got here, 22,000 miles above the earth, and I'm drifting back- they just mentioned Zareski again on the radio- back to Dartmouth, Nova Scotia in the summer of 1966 when we watched little Bobby Dean and tiny Carolyn Wheeler go on their separate little adventures never to be seen again. Oh, they would be "seen" again but everyone knew they weren't the same. That fall, their last year in high school, Bobby was famous for having hitchhiked to California and back again with only five dollars given to him by some kind of Taco Bell franchiser who had driven him for about 1000 miles. Carolyn had spent the summer in Sherbrooke, Quebec where she checked out the transformative powers of French kissing. It worked. She was very popular that first Darteen dance in September. That hadn't happened before. She was different. And indeed they both were! These facts served just perfectly as "covers" for what had really happened. The truth of the matter was that they were victims of Walk-ins - namely, me and Connie! What a year that was for us! There we were, both 44 years old and veterans of Mata Hari/James Bond scenarios since World War Two, pretending we were teenagers in a little town on the Eastern rim of the North American plate. But, as usual, such was our luck that it was the best time to be a teen - or rather, to pretend to be youth. Actually everyone in the world was trying to act young and wild! However, for us it was an assignment and the stakes were very high. But, Charles, right now as Connie and I float in the arms of victory I see those faces drift by and I wonder what the citizens of Dartmouth will think when these memos are published. Of course, the majority will hardly even remember who Bobby Dean and Carolyn Wheeler were except for a couple of vague rumours. In 22 years from now they will be the ones who will build the tourist monuments. Still, those who knew and shared our local schemes will now have many questions answered. Perhaps they will feel it was all not in vain and even a little significant. Take Steve, for example. He suddenly found Bobby sitting next to him in A-5 (a Grade 12 division in Dartmouth High School), a not very academically inclined class (Steve was in there because he was too smart to study), after Bobby had been "streamed" through the advanced class with Mike and Karen and Phil and Don and Christine (now a politician with a Minister's portfolio sometimes) and Peter (rumoured to be a doctor in Annapolis Valley) and Terry (later murdered in the '80's) for five years. By shrewdly dropping chemistry, biology, German and picking up Social Problems I arranged for Bobby to be put in Steve's class so he would have a very light homework load giving me much free time for our real assignment. Phil and Don would later refer to this period as the time when Bobby "died". But Steve can now understand why Bobby suddenly became obsessed with his FREAK OUT album by the Mothers of Invention. Bobby was going to be a physicist, couldn't even hear music and back in '65 wanted to form a band with Steve and Alan Billard and call it The Valets. The Valets!!! Steve was outraged. Understandable because Steve was studying guitar by listening to Paul Butterfield records. But Bobby was a good dancer (he had learned from his childhood buddy Butch Lucas) and was often mistaken for a "coloured" person at the Banook Canoe Club dances. But suddenly Bobby couldn't stop requesting to hear Frank Zappa's music whenever he was at Steve's house. Then there was that moment in February, 1967 when the substitute teacher for Paul Kutner's physics class (a Beatnik) gave a copy of McLuhan's The Medium is the Massage to Steve and Bobby. Why did he pick them out? For the first time (if anybody had cared to notice) Bobby was distracted from doing his homework. This went on for a couple of weeks and the consequences were felt for years after by his close friends. The next catastrophic change that actually affected Steve personally was Bobby's announcement to him that he would not be travelling around the world with Steve when they graduated from high school. He was going to go to college with Carolyn. This seriously disrupted the intended path for Steve's life but I couldn't tell him why then. That would have to wait another year. Meanwhile, back to Connie's and my mission. The echoes of the kids' relationship started to be felt around the world. On October 9, 1966 John Lennon and Yoko Ono first met in that gallery in London - the very day Bobby declared his designs on Carolyn to his hockey buddy Phil. Oh, that reminds me of an echo when Bobby was in California the summer of '66 when I made my initial "possession" of him. It was Friday night, July 29, 1966 - the night of Bob Dylan's motorcycle accident and the first advertised Mothers' Freak Out! (Dave Walley might argue with you on that point but not with me because he doesn't know how to reach me.) Bobby wasn't at the dance that night but he was in Los Angeles. He had just made the first "radical" move in his tiny, tiny life. He, two draft evaders, a gambler, and a Mexican had just quit lemon-picking at a camp in Carpinteria. They probably had 75 dollars between them. That night was an extremely resonant echo. Another important echo which became more significant in the later '70's was the case of Walter Bowart's 40-day long pure Sandoz acid journey during the fall of '66. Walter, you remember, was the founder with Ishmael Reed of the East Village Other in the Lower East Side of Manhattan. Bobby tried to get his driver's license that wonderful autumn but failed miserably because I had not mastered my "control" of his ambidextrous functions (check with Colin May on that embarrassment). But the Luck Plane was slanted our way because events escalated rapidly as Rhyee returned to the Plane of Essence (notice it was completed in Feb. '67 when Bobby was given McLuhan's paperback) and during that intense time Connie and I needed to be alone to attend to our intelligence activities without being distracted by high school football games and parties. Having no transportation gave us an alibi. Also, we had the alibi of Bobby's rapidly deteriorating interest in hockey and subsequent dropping from the team roster even though he was the assistant captain. Incidents such as having Bobby fire the puck at his own coach when he had a breakaway probably hastened the coach's decision. Still, it was a drastic personality change from his friends' point of view attributed no doubt to the fact he was either getting laid or he wasn't getting laid. These new tendencies of seeming rebellion culminated in Bobby being expelled in the last month of his high school career in May of '67. Of course, this was necessary for Connie and I to do some scarey stuff during the hyper-serious Arab-Israeli War in the first week of June. Few people know how close we came to Armageddon that time. On the other hand, Connie did not need the sultry "rebellious" cover since her job was to monitor the satellite reconnaissance set-up in her bedroom. Her long hours alone in her room was understood by Carolyn's parents as her preparation for the Provincial Examinations. And Carolyn was even able to have time to finish out the Vice-Presidential term on the Student's Council after Joey Blades ran off to Greenwich Village wearing an earring. Oh yeah, there was a big scandal that spring when some students stole the provincial exams. Bobby was never caught but Norman could verify Bobby's role. In the fall of '67 Connie and I had to get Bobby and Carolyn away from their parents. We arranged for them to register at Mount Allison University in the marshy little town of Sackville, New Brunswick. Nobody would notice them there. However, one mistake was made. Bobby's roomate, Paul Brison, was "rural" enough to notice something was very strange about Bobby and Carolyn's relationship. So we "inspired" two sophomores, Barry Ellis and Ben Harnish, to form the Mental Mutants "anarchist" club as a cover for our intelligence work. Some of their rantings were even printed in the student paper (check out the Feb.13, '68 issue). And the editor of the paper was so intoxicated by the Mutants' work he offered Bobby the editorship for the next year! But, alas, we would not be staying in Sackville for long. One of the echoes of that interim was the longest brain surgery in history done in New York City on Nov. 25, 1967 - Marshall McLuhan - under the knife for 22 hours. Back in Dartmouth for the summer of '68, Connie and I schemed on how to set up a new "cover" to explain our increasing need for a more far-ranging mobility. The college fake would no longer do. We had to use the "dropout" scam. We decided to float the story that we were going to Montreal. That seemed plausible since Leonard Cohen's hit Suzanne had raised the profile of that city for the counterculture. But we needed some kind of tribal group - a commune. So we recruited some local high school kids with the help of Steve. Of course, this meant I had to let him in on our little secrets, or at least some of them. You know, a "need to know" basis. Well, you can imagine the rumours flew that summer about Eddie, David, Tommy, Ingrid, Nolan and Chris. Steve's mother, a very shrewd and perceptive Conservative, went so far as to call Bobby the Anti-Christ and banned him from their home. She knew something awesome and disturbing was brewing in her tiny, tiny town. But it worked and Bobby and Carolyn got to Montreal with no trouble except for a little resistance from their parents. There were some hard feelings but our work had to be done and we knew the benefits of it would be realized later. Once in Montreal, with the semi-comprehending assistance of Barry and Drapkin (from Mount Allison) and Steve and Shirley (from Dartmouth) we established contact with Dean Latimer, Allan Katzman, David Walley and Lita Eliscu at the East Village Other in Manhattan; with David Worcester and Vern Christenson and Cosmic Awareness in Seattle; with Joe Dun Sloan and the D-cell in Los Angeles; and with Don McBrearty and the film industry in London and later Toronto. From '68 on through the Seventies and into the early Eighties these friends provided safe houses for key periods of crisis in the unfolding of history/evitable fate. But during that particular autumn in Montreal, Barry played a very important role as a liaison with Pierre Trudeau and Rene Levesque. Drapkin was an important conduit to the pharmaceutical industry. Oh, that reminds me, a curious side-effect of my "control" over Bobby was that he would sometimes lose the basic essentials of his identity rooted in his childhood memories. This would require establishing personal contact with some early close childhood friend where obscure details of their mutual past would be dragged out for major scrutiny in the intensity of their reunion. Montreal reminds me of this because it was there that Randy House had moved in 1964 from Dartmouth and he was periodically visited by us so Bobby could be "reoriented". I'm sure Randy will remember these sessions when he reads this but will marvel at how many years have passed since he last had one (it was 1975, Randy). Excuse me, Charles, while I clear something up and give Randy a particularly cute memory that only he would fully appreciate. Remember, Randy, when in the heat of one of these nostalgic laughing debates that fall of '68, you, Bobby and Carolyn dropped in on Cathy Bowes at the Royal Victoria Hospital in Montreal where she was a nurse and left your names at the front desk because she was not available. None of you guys were really very close to her so she must have been puzzled. Well, Cathy, wherever you are (though Steve told me last summer that he talked to Charlotte Hutchinson and he thinks she mentioned that Cathy Bowes married a doctor and is living in Arizona, but Steve's not sure because he never knew either Charlotte or Cathy) now you know why their names appeared in your life at that time. They were drunk on memory so Bobby could remember who he felt like he was. For the next few years Connie and I criss-crossed all over the northern Western Hemisphere using the above-mentioned refuges for Solar Government debriefings from the Secret Council of Ten. More on that later. Meanwhile, we found that Montreal was increasingly inhospitable after the FLQ Crisis of Oct. '70 so we decided we could safely relocate in Dartmouth and later Halifax. Steve had long left Montreal and returned home mainly because of exhaustion, and Barry, searching for autonomy, went back to his family farm on P. E. I. to work the land for potatoes. Their responsibilities in our mission were largely superseded by archetypes merging/fragmenting at the speed of light so a rest was well-deserved. Once back in Nova Scotia I had to deal with the karmic fallout from the previous cover of the "commune". The original members plus new hangers-on had fallen into lives of complete disarray. The subsequent counselling sessions with this Dartmouth gang unexpectedly brought out a new role for Carolyn which we realized would create a great new cover for Connie. If Carolyn became a medical student then we would have the next ten years, at least, taken care of. We knew the management of the solar government was settling in for the long haul after the rapid changes of the Sixties and Connie's satellite surveillance work would be relatively stable. A medical role would be perfect. I still had much travelling to do in my work but Connie could be free to join me around the world during the summers. One important person from Bobby's past, Charles, was a character named Flaps who was one of the original Troika- Steve, Bobby, and Flaps. You see, Bobby always had a healthy streak of megalomania that he kept to himself. That's why I picked him. And Flaps was the one friend he could rehearse this with. Bobby first made contact with Flaps on this level in 1964 when they both agreed they could see "Butch the Electron" - their name for those little spots in the air. Also, Flaps had a similar bent of mind for nostalgic details - even obscure ones that he could hilariously mimic. But as for the megalomania trait, Flaps also was sure that either he or Bobby or Steve was the Second Coming of Jesus the Christ. So this required hours of humorous debate and subtle probing between he and Bobby. Flaps even dropped all his other courses at St. Mary's University in Halifax after his freshman year and began taking Theology classes (about 20 of them) over the next five years. Little did he realize that he actually was teasing and philosophizing with me, Bob Dobbs, all that time. Flaps also provided some great opportunities for he and Bobby's major fetish - ball hockey! This allowed me to do some fine, superfine thinking whenever I was in Nova Scotia. While Bobby was trying to win the scoring title and beat the Seagulls (consistently the best team) for five years (until 1977 - the year of a cosmic power shift when we finally left Halifax and moved to Dallas, Texas), I made some of my greatest perceptual breakthroughs under the alchemical effects of such disciplined physical exertion. Thanks, Flaps. During this period in Halifax, when I could spare the time, I also studied Dennis Young, Vickie Cameron and Eric Fischl (his favorite film at that time was Greaser's Palace) at the Nova Scotia College of Art and Design. According to Rev. Stang's Book of the SubGenius (1983), I introduced myself to Philo Drummond in 1978. This is correct. Connie and I had set up headquarters in Dallas after we left Halifax in '77 where I had kept a very low profile whenever I was there - not one of Carolyn's fellow medical students at Dalhousie can say they ever met her husband. The move to Dallas was necessary after the Battle of the Harvest Moon on Sept. 27, 1977 which caused a major change in the structure of the solar government. Most of the scenarios that unfolded in the early Eighties were orchestrated out of Texas (remember J. R., Dallas, Dynasty, and Bush - Lorimar Productions) so that was where I was stationed until '83. Connie would continue Carolyn's medical cover in Toronto where she set up a phenomenally successful nutritional medicine practice that had the same impact on the medical game in Canada as Wayne Gretzky had on hockey. At that time Toronto was a branch plant of the shenanigans in Texas (for details of that fact see Robert O'Driscoll's "action" poem, NATO and the Warsaw Pact Are One) and Connie was assigned to that city until I could join her permanently for more public performances in '84 after Dr. Beter and I had triumphantly interrupted the Bolsheviks' attempt to start Nuclear War One with a First Strike against the Soviet Union on Sept. 17, 1982. For followers of Stang's scene this explanation should clear up the mystery of why the Reverend staged my assassination on Jan. 21, 1984. Because I had left Dallas after Dr. Beter and I put a hold on nuclear annihilation in '82, Stang had nothing left to do but market what he could salvage from my files. But how could he explain my absence? It's obvious what he and Puzzling Evidence were forced to fake. On August 28, 1984 Bob Marshall made his first broadcast of the International Connection on CKLN-FM, 88.1 in Toronto. This was the beginning of Phase 3. Connie and I privately referred to this act as WHO'S FORGOTTEN FURRY LINT? "Bob Marshall" was Bobby Dean's new role as a journalist and broadcaster. For the next three years Marshall was the figure to prepare the ground for the unveiling of me and my awesome mission - Phase 4. Bobby Dean, with the assistance of his friend Art McKay, had quietly rehearsed this new public visibility by giving a lecture on the work of Marshall McLuhan to a small class at Mount Saint Vincent University in Halifax on January 6, 1984. 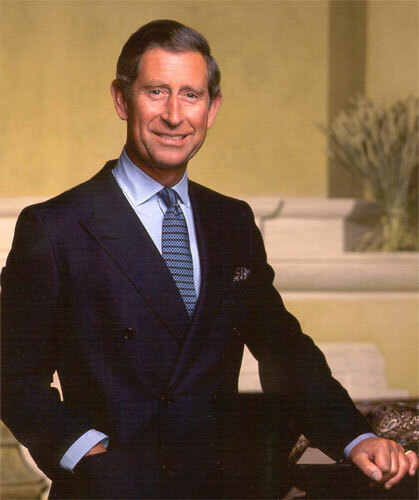 As you well know, Charles, in January of 1987 I met with your representatives in London to arrange your purchase of a large quantity of gold bullion. After that we were ready. We duped Adam Vaughan, the manager of CKLN at the time, by having Bob Marshall replay some audio tapes by Dr. Beter (which Vaughan had forbidden). Bob Marshall was fired. Myke Dyer was upset. Myke invited Bob onto his show at the same station. LO!! I now had a discarnate forum to stage my campaign for chairmanship of the Secret Council of Ten. It was June 17, 1987 - in the middle of the Iran- Contra hearings and two months to the day before the Harmonic Bobvirgins. The world began to feel the effects of decades of planning as momentous changes became obvious to everybody. Carolyn Wheeler had a boyfriend before she met Bobby Dean. His name was Bob Dyer. Bobby Dean had a girlfriend before he met Carolyn Wheeler. Her name was Carroll Dyer. Bob Dyer, Carroll Dyer and Myke Dyer were not related and never knew each other. "There we were, both 44 years old ..."